Family Medicine Fort Collins: Do You Hate Visiting the Doctor? Do You Hate Going to the Doctor? 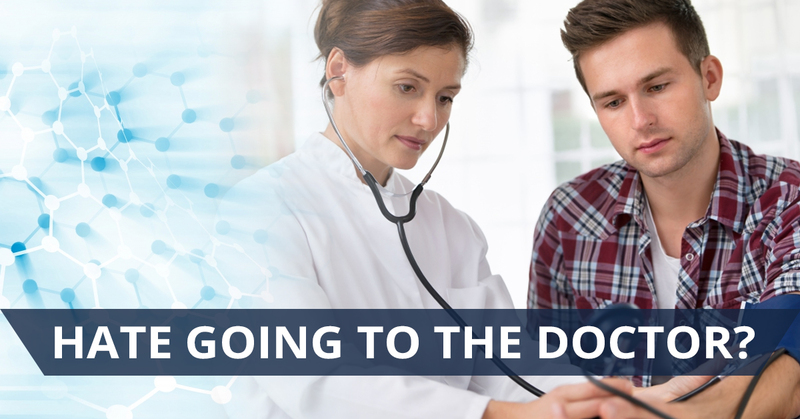 If the thought of a trip to the doctor’s office feels with a sense of uneasiness and dread, you’re not alone. Millions of Americans share the same fear you do of visiting the doctor. Luckily for you, at Miramont Family Medicine, we believe that healthcare doesn’t have to be scary. Our doctor’s office is made up of a staff that genuinely cares about each person that walks through our door. Whether it’s a nurse, a receptionist, or a doctor, when you visit Miramont Family Medicine, you’re putting your trust in a place that puts the patient’s needs first every single time. What can you expect from the staff at Miramont Family Medicine? Keep reading, because the answers lie in today’s blog! At Miramont Family Medicine in Fort Collins, our staff provides x-rays, vaccinations, allergy testing, minor surgery, physicals, and more and we do it with a level of customer service that’s simply unmatched in our field. The staff at Miramont Family Medicine takes patients seriously. We understand that you’re a person and we’ll treat you like one. It’s as simple as that. You may have anxiety about visiting a doctor because of how you’ve been treated in the past. At Miramont Family Medicine, we’ll greet you with a smile and take the time to get to know you. If you’ve ever sat in a waiting room for what felt like hours (or maybe even was hours) only to be rushed through your appointment, charged a crazy price, and prescribed a medication that didn’t work, you probably don’t have warm, fuzzy feelings about going to the doctor again. At Miramont Family Medicine, your needs come first. Sure, we might run behind from time to time in our effort to take great care of our patients, but you can rest assured that your needs will always come first and we’ll make sure you walk out the door feeling renewed. Sometimes it’s simply the cost of a trip to the doctor that causes anxiety and negative feelings. At Miramont Family Medicine, we offer our MVP-Direct program to ensure that everyone who needs healthcare is able to get it for a price that’s fair. At $49 each month, our team is able to make healthcare affordable, accessible, and easy for everyone. Schedule an Appointment with Miramont Family Medicine Today! Our goal is to make a trip to the doctor something that you don’t dread, but instead look forward to, knowing that you’ll receive the attention you deserve. Our team is here to make sure you get a level of care that’s simply unmatched by others in our profession. At Miramont Family Medicine, we’ve made it our mission to go above and beyond when it comes to meeting your healthcare needs. No matter what ails you, we want to be the team you trust to be there for you when you need help the most. Schedule an appointment with Miramont Family Medicine today!